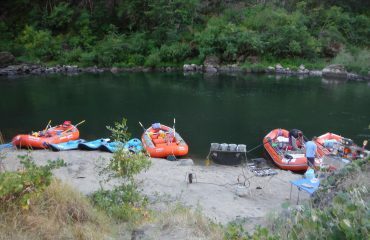 Join us for the most popular way to see the Rogue River. 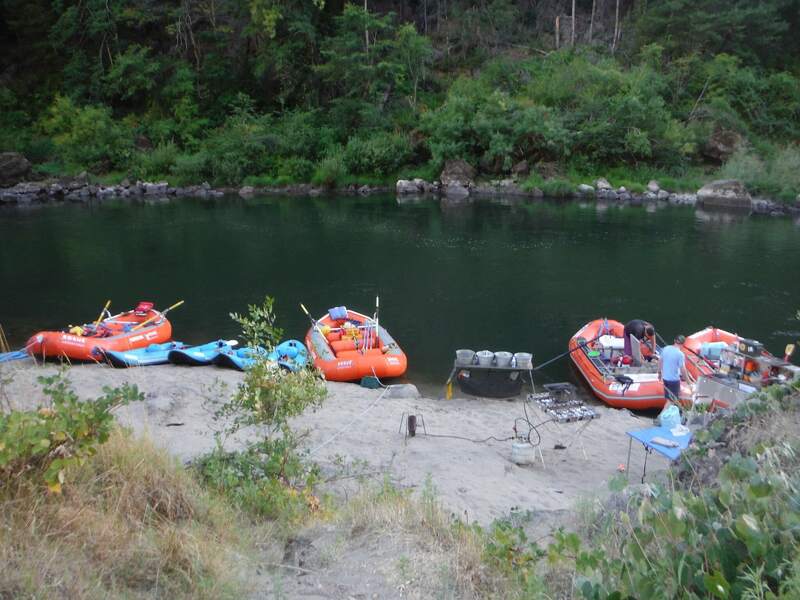 During the day, you will float through the canyon with up to 6 people per raft. Along with a hearty riverside lunch, you will stop from time to time to visit historic sites, turquoise swimming holes, and so many waterfalls. At night, you will camp on picturesque sandy beaches, star gaze, play games, rest, and relax. Our guides will do all of the work, so you can relax and take to connect with yourself, or your loved ones. * Trip price subject to 3% BLM fee and $10.00 USFS per person user fee. All about the 4 Day Camp Rafting Trip. Click the Check Availability & Book Now button above to see available trip dates or call 1-800-336-1647. Orientation: 5:45 pm at Morrisons Lodge the evening before your trip. Trip start: 8:00 am at Morrisons Rogue River Lodge near Galice, Oregon. Camp three nights along the river. 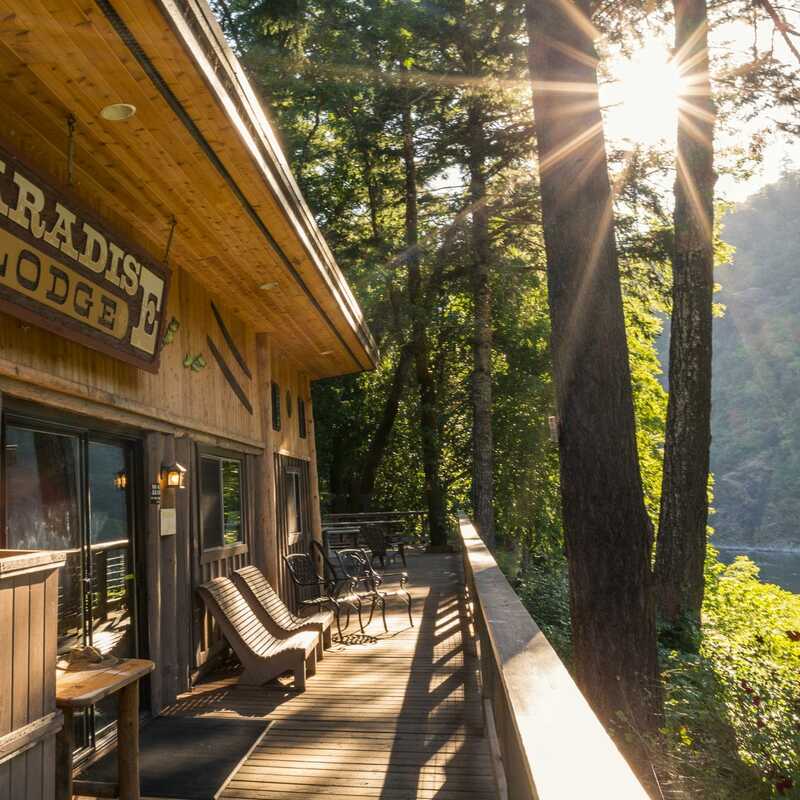 End: 4:00pm-5:00pm back at Morrisons Rogue River Lodge. 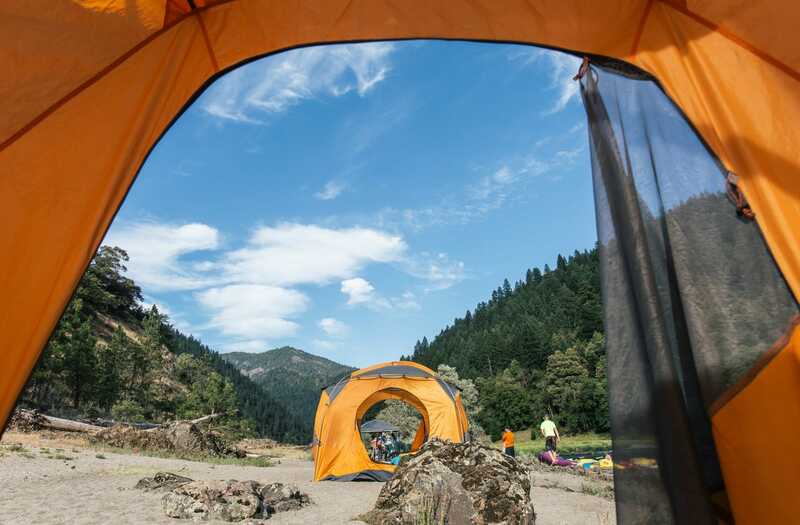 What’s Included: All meals, guides, camping gear, rafts, transportation to and from the river. Not Included: Adult beverages, guide gratuity, Government access fees. Please wear shoes that attach to your feet. No flip flops! Meet at Morrisons Rogue Wilderness Lodge (8500 Galice Road, Merlin, Oregon) at 5:45 PM for a meet and greet and orientation. 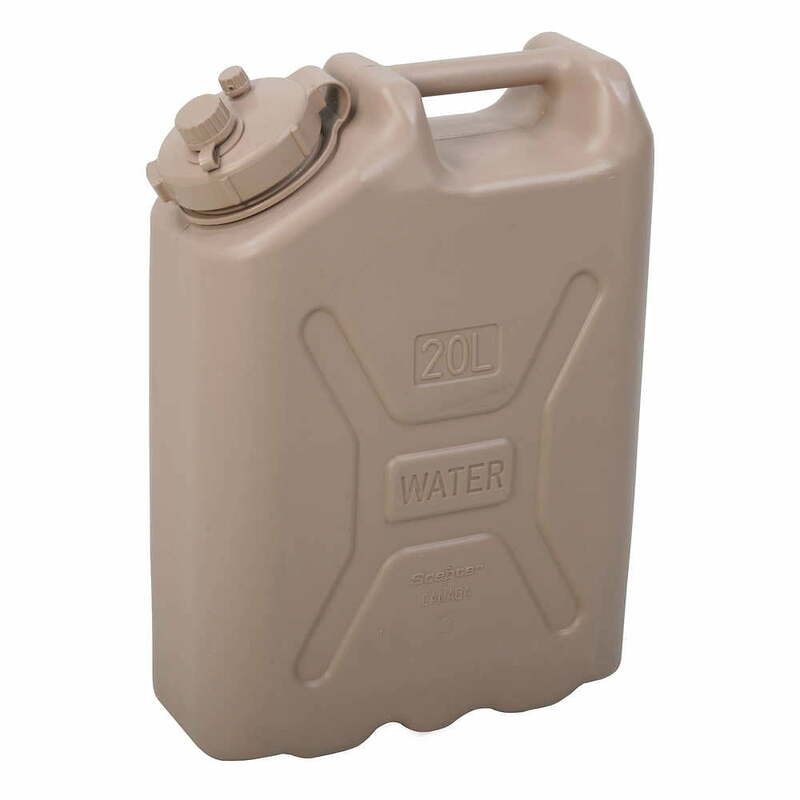 You will be given dry bags to pack for your trip and have an opportunity to ask any last minute questions. 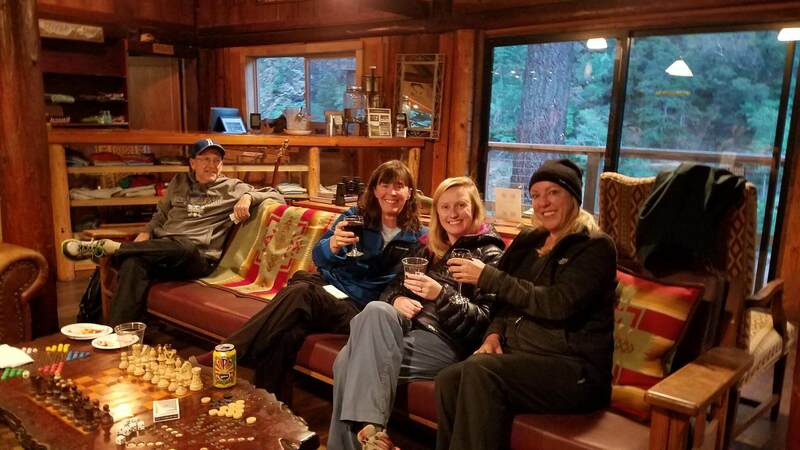 Please arrive at Morrisons Rogue Wilderness Lodge (8500 Galice Road, Merlin, Oregon) by 8 am and check in with our office staff. Dry bags that are given out the night before at orientation should be packed and collected by the guides. You will then lock your car and put keys in key storage at Morrisons Rogue River Lodge office. 8:45 am – Board bus. 9:15 am – Arrive at the river and get fitted with life jackets. Trip safety talk. 10 am – River day with visits to historic sites, a short hike, a riverside lunch, and swimming. 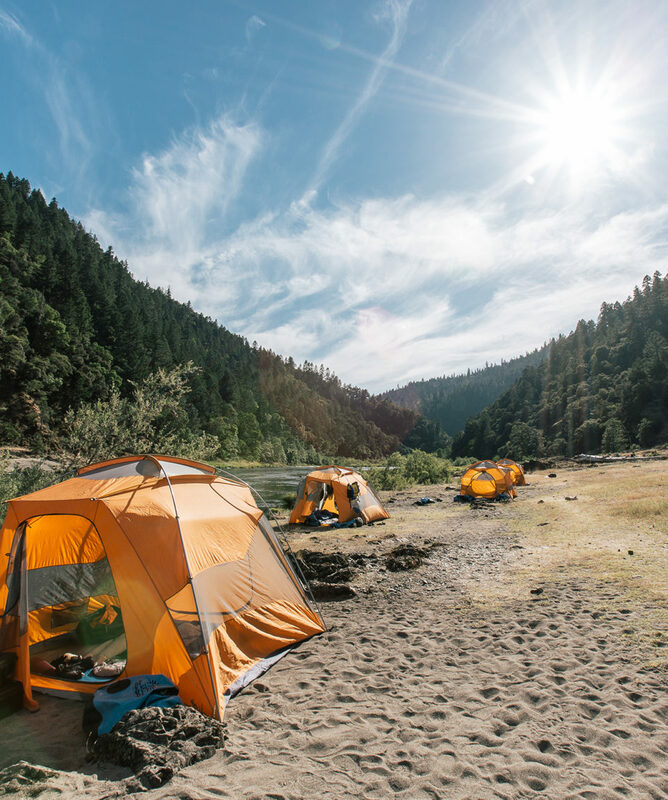 4 pm – Camp activities, set up camp, read a book, relax, hike, nap, dinner, storytelling, and star gazing. 7:00 am – Lots of coffee. 9:30 am – On the river exploring Zane Greys Cabin, the Rogue River Ranch, swimming, riverside lunch, and a water fight or two. 4:30 pm – Camp activities, more relaxing, and appetizers, dinner, and dessert. 9:30 am – On the river exploring, swimming, riverside lunch, and a water fight or two. 4:30 pm – Camp activities, more time to relax, take a nap, read a book, or take a swim before dinner. Raft from our last camp to Foster Bar take out. This is your departure day you’ll head to the takeout at Foster Bar (near Agness, Oregon) at 2 pm. See takeout instructions below. Takeout is at 2 pm at Foster Bar (near Agness, Oregon). Foster Bar is 26 miles from the city of Gold Beach and the Pacific Ocean. Morrisons Rogue Wilderness Adventure vans will pick you up and bring you back to our offices. However, you can have your car shuttled for an additional $125 and you can visit the Redwoods or other parts of the Oregon Coast.